The nonprofit Carter's Kids and Nordic Naturals recently teamed up to build a new playground in a day, complete with ribbon cutting ceremony, at Webster Elementary School. 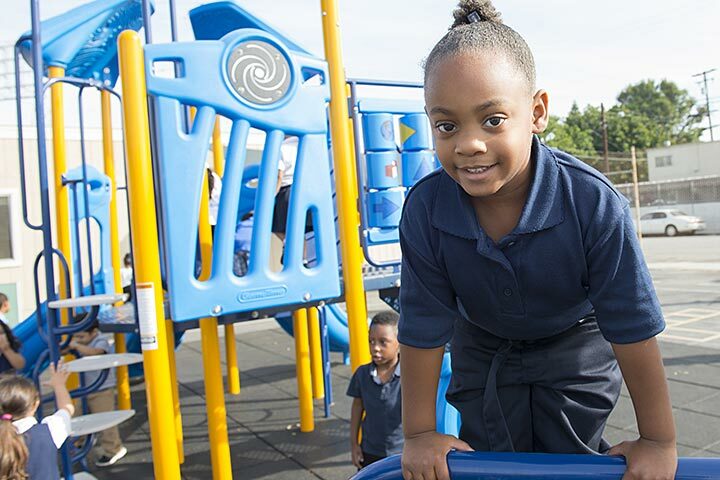 Carter's Kids builds one playground a month across the nation at schools and community-based organizations. "When kids get a playground, it's like the biggest thing in the world for them because it means so much," said TV host Carter Oosterhouse, who began the effort 10 years ago. "We want to keep kids active and healthy." NEW PLAYGROUND – Preschoolers at Webster Elementary School's Child Development center eagerly tried out their newly donated playground.